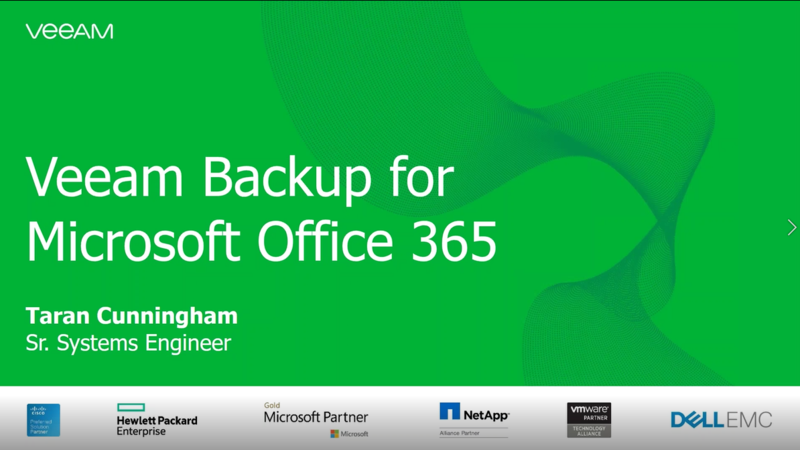 Join Veeam SE for an in-depth technical deep dive into Veeam Backup for Microsoft Office 365. Learn how to protect your email data in Office 365. Learn how to quickly provision and configure Veeam on IBM Bluemix Infrastructure in the IBM Cloud. 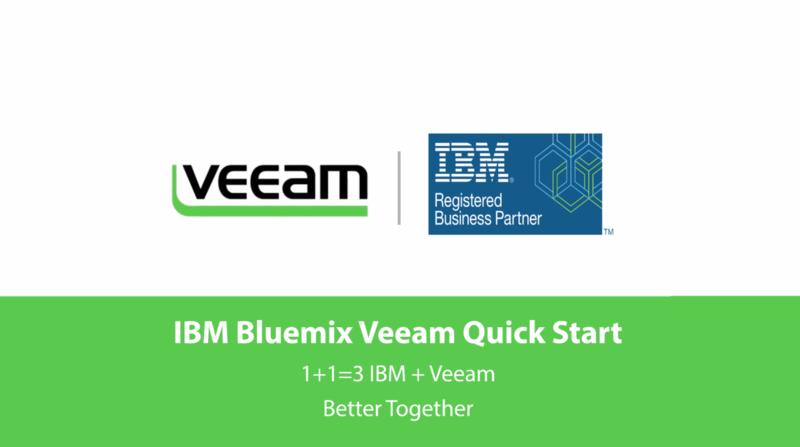 Veeam provides backup, recovery and replication on IBM Bluemix to keep your Always-On Enterprise™ running without disruption. Veeam Availability Suite™ with IBM Bluemix offerings provide excellent data protection for IT services, and their applications and data, to deliver recovery time and point objectives (RTPO™) of < 15 minutes. 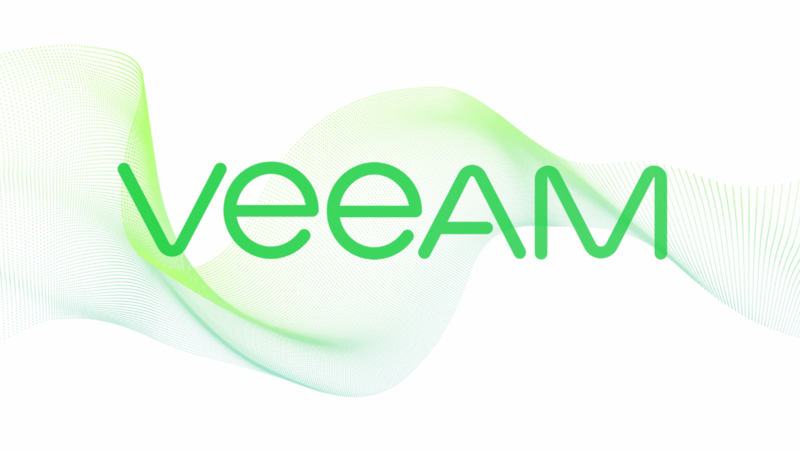 Veeam® Management Pack™ (MP) v8 for System Center delivers Availability for the Always-On Enterprise™ with app-to-metal visibility of VMware vSphere, Microsoft Hyper-V and Veeam Backup & Replication™ environments. Watch this video to learn about What’s New in MP v8 Update 4. We’ll explore these topics and much more in this six-minute deep-dive demo. Join Veeam SE for an in-depth technical deep dive into the architecture and engineering of Veeam Backup & Replication. Learn how to protect your virtual workloads with Veeam Availability Suite by diving into the deployment and technical details of components that allow Veeam Backup & Replication to meet recovery service level objectives of less than 15 minutes for ALL applications and data. Find answers to burning questions around how it works. 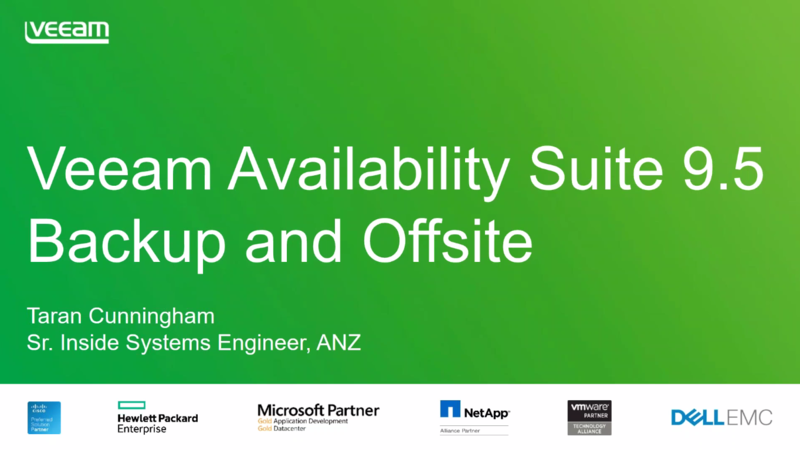 Join Veeam SE in a service provider focused session, which dives into providing DRaaS (Disaster Recovery as a Service) and BaaS (Backup as a Service) using Veeam Cloud Connect. 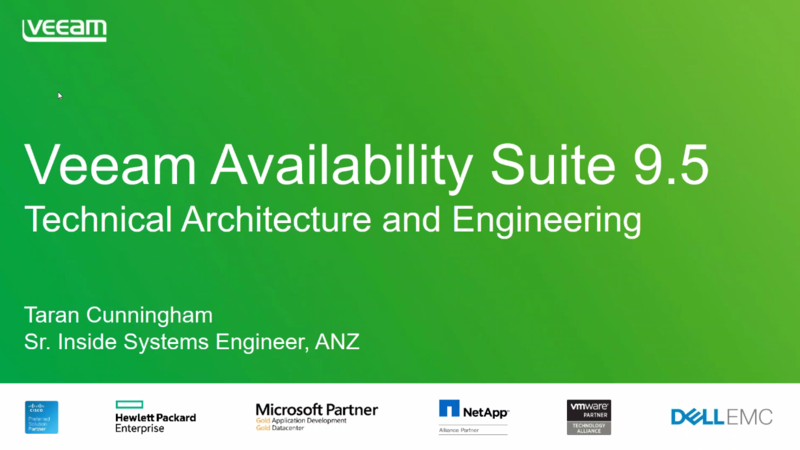 Also, learn about providing additional services, using Veeam Agents for Microsoft Windows and Linux and Veeam Availability Suite. Join Veeam SE for a deep dive into the creation and safekeeping of Veeam backup files. 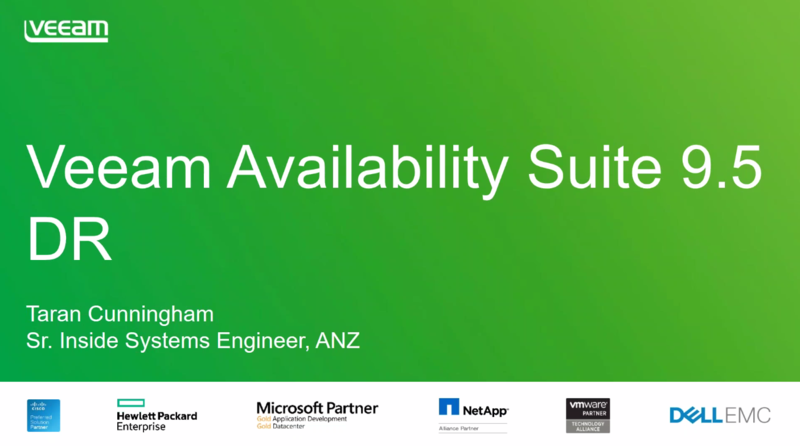 Learn how to protect your virtual workloads with Veeam Availability Suite and other workloads with Veeam Agents for Microsoft Windows and Linux. 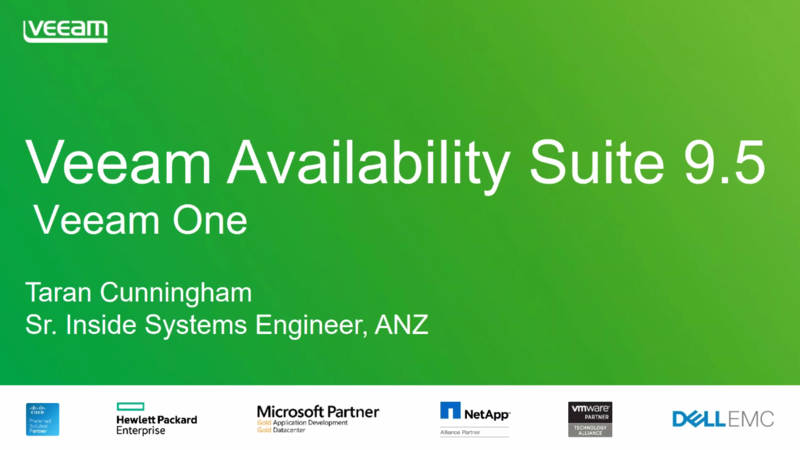 Join Veeam SE for a deep dive into the capabilities of Veeam ONE. Learn how to set up categorization, dive into alarm management and utilize reports and dashboards. Join Veeam SE for a deep dive into everything around DR, including the creation and maintenance of Veeam replicated VMware and Hyper-V virtual machines. See how a failover is run and what happens next. Veeam® Management Pack™ (MP) v8 for System Center delivers Availability for the Always-On Enterprise™ with app-to-metal visibility of VMware vSphere, Microsoft Hyper-V and Veeam Backup & Replication™ environments. 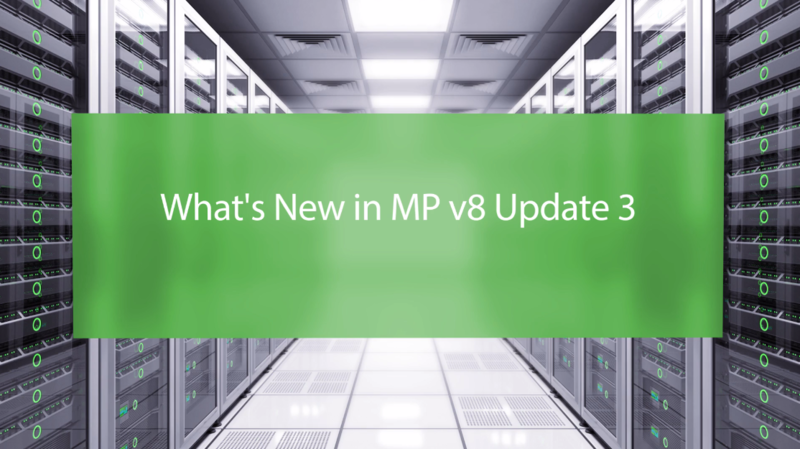 Watch this video to learn about What’s New in MP v8 Update 3. Support for Veeam Backup & Replication 9.5, delivering advanced analysis reports and support for Windows Server 2016 repositories. Support for VMware vSphere 6.5, leveraging the deep visibility MP provides vSphere infrastructures. Enhanced Veeam Morning Coffee Dashboard & Report®, including the ability to create separate Morning Coffee dashboards for specific data centers, clusters or groups of hosts. On-demand view of ESXi Host Services State task shows list of service daemons on any specific host. vCenter monitoring support for vSAN Alarms provides support for more than 70 new monitors, allowing enterprise businesses to proactively track individual vSAN health checks and assess overall health of vSAN clusters. We’ll explore these topics and much more in this deep dive demo. 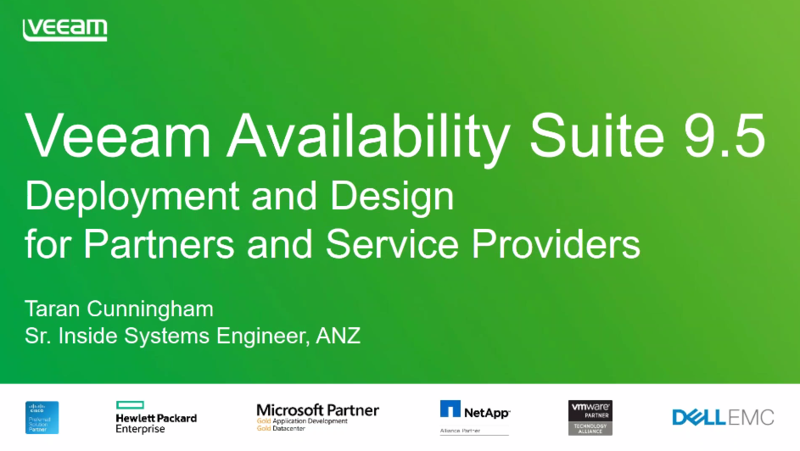 Take a deep dive into design scenarios and the deployment of NEW Veeam Availability Suite™ v9 components. 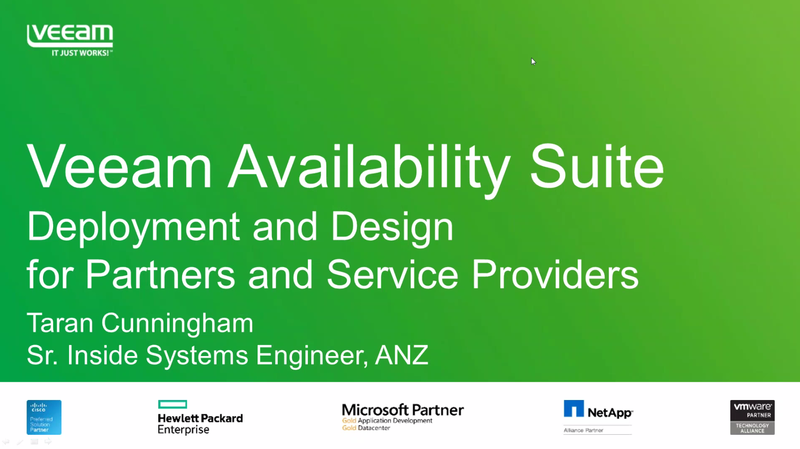 This highly technical presentation describes the various deployment scenarios that partners and service providers encounter when providing Availability for the Always-On Enterprise™.